I went on an adventure this past weekend without ever leaving the house. Well, actually, it was the garage. I finally decided to delve into the stacks of old boxes filled with long-forgotten papers, dig into shelves of stored-away treasures and clean out musty cupboards…you get the idea. I guess you could say I’m a bit of a pack rat, although I save memories, not junk (as some would say). So, with the exclusive goal of one day being able to squeeze something other than one car into a two-car garage, I threw on my sweats, some gloves, and armed myself with large green garbage bags. Then I dug in. I located my old fishing pole in the rafter’s above the garage. Now don’t get me wrong. I’m not huge on fishing, but my dad was. He bought me this pole when I still had baby teeth. I’m now the not-so-proud owner of four crowns and a mouthful of silver, so you can imagine how long I’ve had that pole. On Sunday afternoons, the neighborhood kids and I would venture over to the lagoon and throw our lines into the muddy water. Most of my time fishing was spent dislodging my hook from the trees behind us and not actually catching anything (thank goodness). Looking at my mementos, a person would never guess I’m female. All my toys and treasures were those most boys would have. You won’t find any tea sets or dolls in my dusty garage. 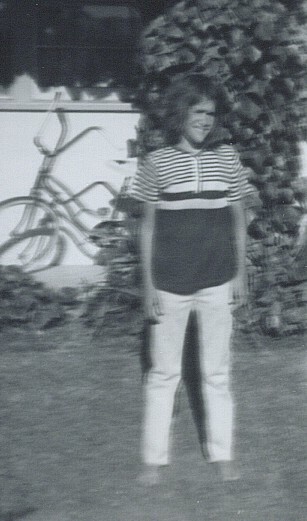 I was what you’d call a bona fide tomboy. 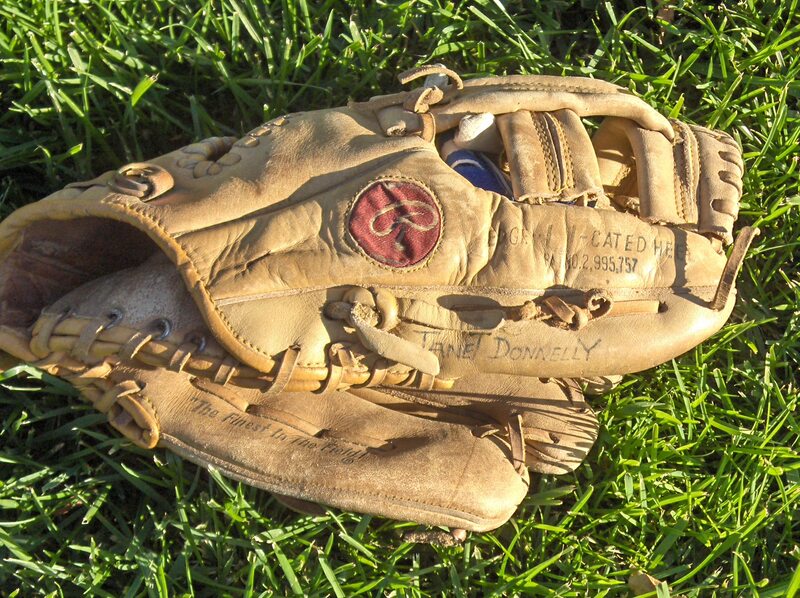 No, you’re more apt to come across my first mitt, the one I used when my brother taught me how to play catch on our front lawn. I found it buried deep in a cupboard. It still has my name inked on the thumb and inside, our old phone number. I also came across my blue and white football helmet. It’s covered with grass stains from summers of tackle football with the boys on the block. Those were the days when my biggest concern was what mom was serving for dinner. Just looking at that helmet brings me back to Gallerita Way and I wonder what ever happened to Albert, Robert and little Matt. 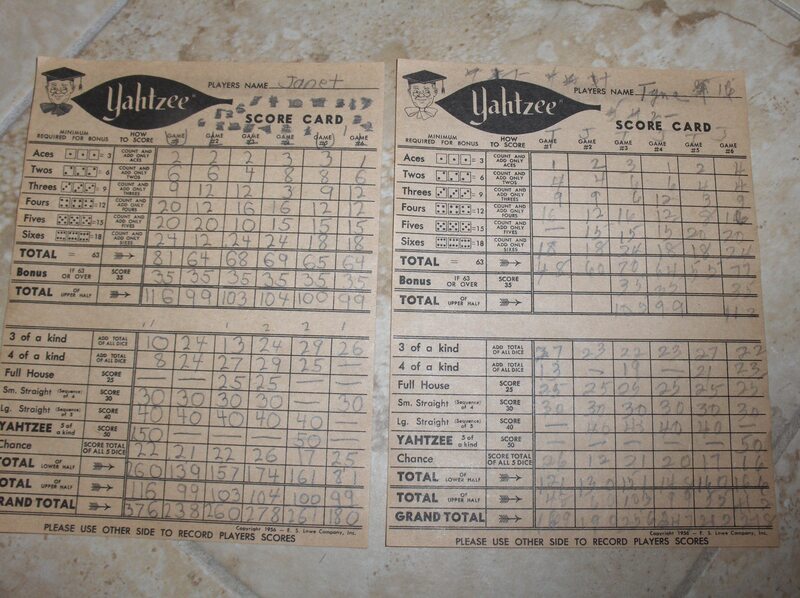 In a cabinet behind my camping gear, I found a nearly 50-year-old Yahtzee game. Inside, on the scorecards, are games I played with my Nana when I was about 10-years-old. Nana and Grandpa let us kids take turns “sleeping over” so we could each have their undivided attention. If we felt like it, we would play Yahtzee until 2:00 in the morning, which we usually did. Nana’s shaky handwriting is on the score cards, but the scent of her White Shoulder’s perfume is long gone. 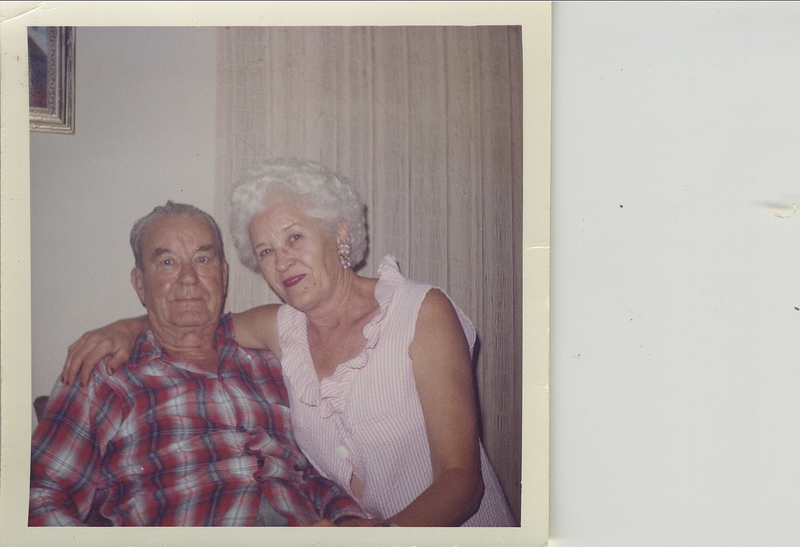 I sat in the middle of the garage and remembered the special weekends I spent with my grandparents. While Nana made tuna fish sandwiches on sliced French bread, I played the organ for my grandfather. He always applauded enthusiastically after my rendition of “Mary had a Little Lamb” like it was the first time he heard it. My ex-husband’s ancient army chest sits hidden under the deflated four-man raft we always hauled to Lake Tahoe. His army boots and jacket are packed inside the box. Underneath those lay the multitude of letters we sent each other during the years he was stationed in Germany, way back in the 70s. Naturally, I had to read them again. By the end of the weekend, I managed to move things about, but not out. It’s so true that one person’s junk is treasure to another. When I’m gone, someone will surely ask, “What possessed her to keep that?” Now you know. It’s apparent I can’t live without my mementos, so they end up in the garage. At this rate, my BMW is destined to join my Pathfinder out on the driveway. We’re talking valuable space here and there’s simply no room in my cocoon of memories for automobiles. This entry was posted in Musings and tagged childhood, family, garage, humor, mementos, memories, pack rat. Bookmark the permalink. I guess this wasn’t exactly a “humor blog” this week (I warned you in my “About Me” page! )…but they’re happy memories in my garage so hopefully you were remembering all your happy memories too. Love the picture of your mom and dad. I think that your childhood sounds like so much fun.